For most people winters are associated with holidays and fun, but for some they are beginning of a common skin problem – dryness. Dry skin may crack and peel excessively in cold weather. Read on to learn how to get rid of dry skin and stay moisturised all day long. 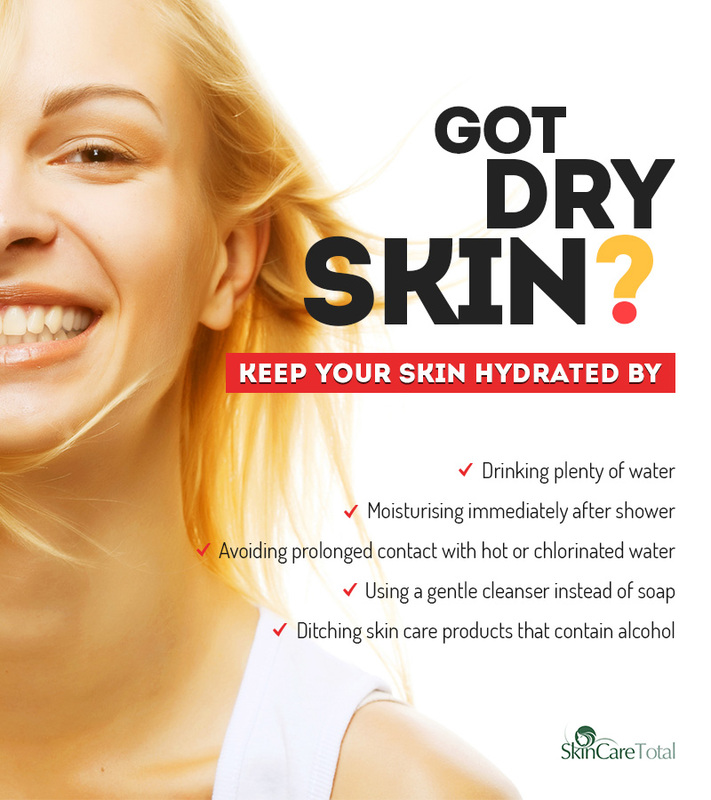 If you have got dry skin, you know how tough it can be to keep it hydrated and healthy all day long. Using moisturisers can help you to some extent, but that is not going to heal the problem. Winters can make things worse thanks to the low temperatures, low humidity and harsh winds that deplete skin of its natural lipid layer, increasing the dryness and making skin itchy and flaky. But, is winter the only culprit for dry skin? Well, no. There are many other factors that can cause dryness. 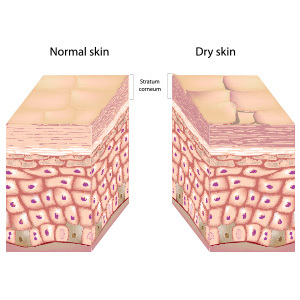 So, before we discuss dry skin treatment options, let’s have a look at causes of dry skin. Skin has a protective layer that protects it from weather and other environmental factors. But there are some factors that physically strip away this protective barrier, causing dryness. Cold weather is just one of these factors. Harsh chemicals, long hot showers, lack of hydration and indoor heating are some of the other things that can cause dryness. Age also plays an important role in determining skin condition. Dry skin is common among people over the age of 60. The reason is depletion of natural oil and breakdown of skin protein. Although dry skin doesn’t pose any serious health risk, it looks unpleasant and must not be ignored as it can lead to dermatitis. How to cope with dry skin? Avoid hot water shower and bath as it strips natural oil from the skin that results in dryness. Use lukewarm water to take bath and limit to a single 5 to 10 minutes shower a day. The best way to reduce dryness from inside is to drink plenty of water. If you stay hydrated from inside, it will show up on your skin as well. Drink your 6 to 8 glasses of water a day. Stay away from regular bath soaps. Harsh ingredients in soaps dry skin faster. Use a gentle, fragrance-free and soap-free cleanser and use it twice a day. Don’t wash your face more than two times a day, no matter what the weather is. Invest in a good moisturiser as it acts as a protective barrier against dry climate. Products that contain lanolin, shea butter, glycerine and other emollients can help keep your skin hydrated all day long. Apply moisturiser immediately after shower or washing your face. For maximum hydration, run lotion when your skin is still damp. This helps lock in the natural moisture of the skin. Exfoliation is essential but don’t do it excessively. Use gentle exfoliate once a week to remove dead skin cells. Avoid harsh chemical scrubs completely as they strip skin off its natural oil. Following these tips can help reduce dryness and make skin smooth. But, if you have ultra-dry skin, then cold weather can cause redness or inflammation. Use a cool compress on the area for a week. If it doesn’t help, make an appointment with your doctor. Not sure what your skin type is. Find your skin type here.